In Debt - Find Help FreeEliminate The Muda! « Budgeting Review = Red Flags! Thankfully, with the exception of our mortgage, we are already past the stage of getting out of debt. After years of feeling the pressure as the single breadwinner of the family, I cannot express how liberating it is. Those days are not so far behind that I don’t recall the pressure and worry. The concern was so great that I believe I may never forget. My financial education continues. In fact I have learned more and spent more time and effort since paying off debt than I did through that process. As I become more financially aware, I become more financially frustrated. Not just with the knowledge of the additional opportunity we have but also by the challenges that others face. The more I research, read and learn the more compelled I am to help others. We worked our way out of debt largely alone. At the time I didn’t know what a personal financial blog was, Dave Ramsey was not on the radio stations I was exposed to, and I thought Clark Howard was a University in Washington D.C.
Suzy Orman was the only financial personality that I’d been exposed to and while she often gives good advice she never captured our attention enough to be more than incidentally influential. Since that time I’ve obviously been exposed to all of this and more, much more. All of these personalities and bloggers I’ve followed since, provide value and positive guidance. This article was featured in the Carnival of Personal Finance hosted by Darwin’s Finance. Please check out this carnival for many other great articles about personal finance. However, I have also seen the dark side of the personal finance galaxy. I’ve learned more about the PayDay loan shops that line the streets. The debt consolidation hacks have popped up on my web surfing and in my e-mail. There are all kinds of advertisements on TV, radio and in magazines and papers with promises of relief and riches. But the vast majority or outright scams or technically legal ways to simply separate as much cash from those that can afford it least. What saddens me is that none of these institutions would exist if they didn’t have customers. If there is nothing else I have learned, I have learned that any time a person or company wants to engage in a transaction of any kind, they are intending to profit. Debt consolidation companies need to make money, they need to pay employees they need to pay taxes, rent and expenses. That money comes from you. Assuming you are a customer. Any monies you give to a PayDay loan outfit are monies you cannot pay your bills with. Are you in debt? Are you living paycheck to paycheck? Just fix it yourself! 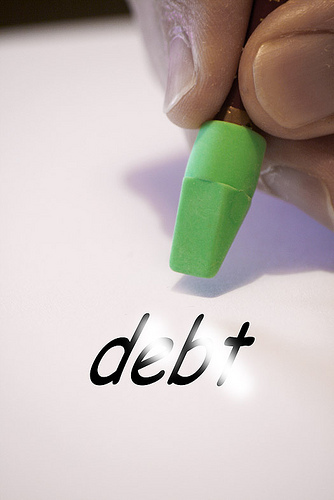 Eliminating your debt is not easy and it’s not fast. But if you do it yourself you will learn lessons along the way that will be instrumental in keeping you out of debt in the future. You will learn how manage money, live within your means and how to make better financial decisions. Best of all, you won’t spend more money in the process! Start with the Eliminate The Muda Principles of Financial Management. This is what I used to get myself out of debt. Buy Dave Ramsey’s Total Money Makeover. Subscribe to any of the blogs in my blogroll. You’ll learn something different from each one, every day. Order a MyMoney toolkit from the U.S. Government. It comes packed with guidance and information to help you manage your money better. If you like to be challenged to see things with a fresh perspective, if you like to learn new ideas and different concepts, sign up for my RSS feed or enter your email address here to receive updates directly to your inbox. Carnival of Personal Finance #239 - Hot Money Trends of 2010 Edition | Breaking News Now!